Each summer AMDA welcomes high school students from around the world to our New York City and Los Angeles campuses to get a first hand look at what it’s like to be a student at one of the country's foremost performing arts institutions. 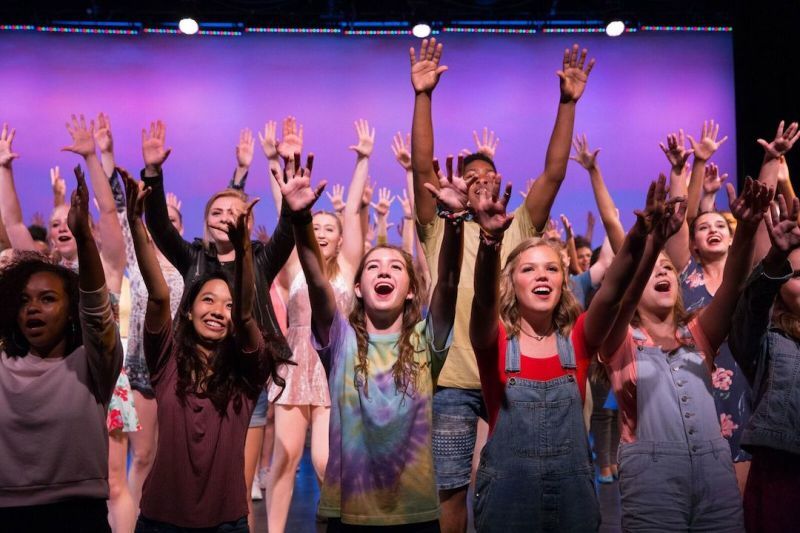 Whether it be on the stage, set or in the studio, AMDA High School Summer Conservatory students are immersed in the arts. With classes in their chosen disciplines, rehearsals with other amazing young artists, and performances on AMDA’s NYC and LA stages, our students are challenged and inspired to achieve their dreams! This fully immersive training program helps students gain the confidence that can lead to future success in their performing arts studies and future auditions. Just last week, 2017 Summer Conservatory student Catie Turner auditioned for American Idol and received a unanimous yes from all three judges by wowing them with her original song “21st Century Machine.” See Catie’s performance. Below are testimonials from real students who have attended the High School Conservatory Program. See what they have to say about their time at AMDA! “If you love performing arts and you slay all day, everyday because you were born to be a STAR, then I HIGHLY recommend you audition for AMDA’s Summer Conservatory. This 2 week program is truly life changing and an eye opener. Speaking from experience, this program has motivated me and I need thought I could feel so at home and accepted by a group of people that I have never met before. Not only did they have the same types of passions as me, but they also showed the same about of love and support with no negativity. It was truly a magical feeling and one of those moments where I laid in bed and said to myself “this is where I wanna be, this is where I HAVE to be.” Y’all promise you won’t regret going to this program, it is EVERYTHING!” - Diontre L.
“Best.Experience.Ever. Best part was the friends I made and that we all still talk and are still friends today! Every single one of these people made me happy to be around and I’m sure everyone doing this program this upcoming summer will feel the same way!” - Alexondra MC. “I miss this so much!! This program was one of the best things I’ve ever done.” -Amanda J. “Seriously one of the best times of my life!” - Kaiya A. Reserve your spot for Summer 2018!